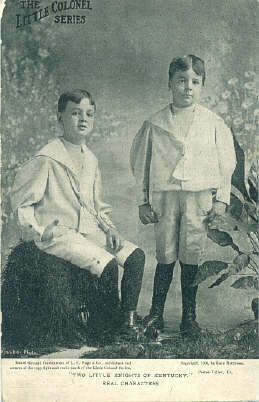 The Culbertson boys' characters as Malcolm and Keith play a significant role throughout the books of the Little Colonel series after their debut in1899 in their own book, The Two Little Knights of Kentucky. The picture at the right is from a post card issued by LC Page & Co. in 1906. Kate Matthews took the original photo. William Stuart Culbertson (The Little Knight "Malcolm", on the left) was born on August 28, 1887. After the Little Colonel years, he served in World War I on a submarine chaser and in naval aviation. He trained at the Boston School of Technology. Still later in life he became Vice President of the Louisville Packard Motor Company. He also lived in Los Angeles, where he died prematurely and unexpectedly at age 47 of pneumonia in 1935, a few days before the world premiere in Louisville of The Little Colonel on the silver screen. William had been married at least twice. His first wife died young. He had no children by either marriage. Craig (Alexander Craig Culbertson, the Little Knight "Keith", on the right) was born April 18, 1890. 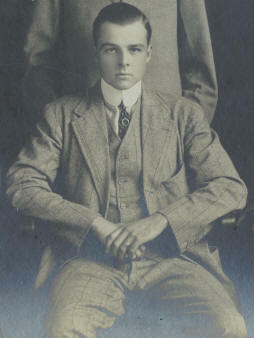 As an adult, Craig was believed to have been the second person from Louisville to enlist in World War I. He spent World War I in the balloon service headquartered in California. One of his friends, Douglass Fairbanks, Sr. once accompanied him up in a balloon and they both parachuted down together. Around that time. Craig was offered $1000 a week by a movie producer to play in films. He declined. 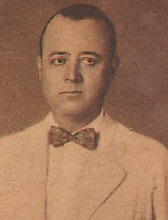 During the early 1920s. 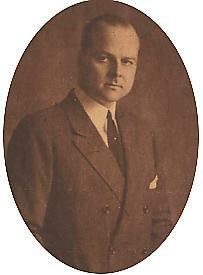 Craig was Kentucky Boxing Commissioner and on the State Athletic Board of Control, and at the same time founded the Quick Tire Service in Louisville (fitting, since his father was president of Churchill Downs, that the building now houses the headquarters of the Kentucky Derby Festival Organization.) 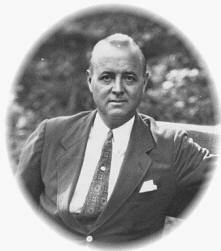 Later, Craig became president of the Louisville Packard Motor Company, and wrote for the Louisville Courier-Journal. and Louisville Post. 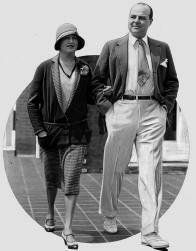 In the mid 1920s, he moved to New York to be a partner in the brokerage firms of Eastman-Dillon and later Redmond & Co. He returned to Louisville by the late 1930s or so, and lived the remained of his life there. He lived until 1973 (Age 83). Craig was also married twice and had three children, two sons and a daughter. Tragically, if life were not so hard and unfair, there may have been Three Little Knights of Kentucky. Another brother, Louis, was born between William and Craig. Unfortunately he passed away at a very young age. "Two Little Knights of Kentucky"
and the "Little Colonel Series"
Annie Fellows Johnston may not have been far off in the types of exploits she portrayed for these boys. Remember when they brought the circus bear indoors, when they dropped the Little Colonel into a hay bin in lieu of a dungeon and the escapade with the railroad handcart... not to mention tying up Ginger in the woods by the spring and then forgetting about her while playing Indian. These were just a few of the many antics ascribed to them in Two Little Knights of Kentucky. "The two Culbertson boys were once taken by their father, "Uncle Sam" to French Lick. As you might know, French Lick was a fine spa where many older gentlemen went to take the "Pluto Water" and get "regular." They would take a long swig of Pluto Water, take breakfast and then retire to the large men's room. Well, these two rascals got down to the men's room early and crawled under each stall and locked them. Needless to say, there were a number of unfortunate accidents on the part of the poor gentlemen. Yes, Uncle Sam was asked to take his kids back to Kentucky and never bring them with him on any return visits that he would be planning to make to Orange County, Indiana."